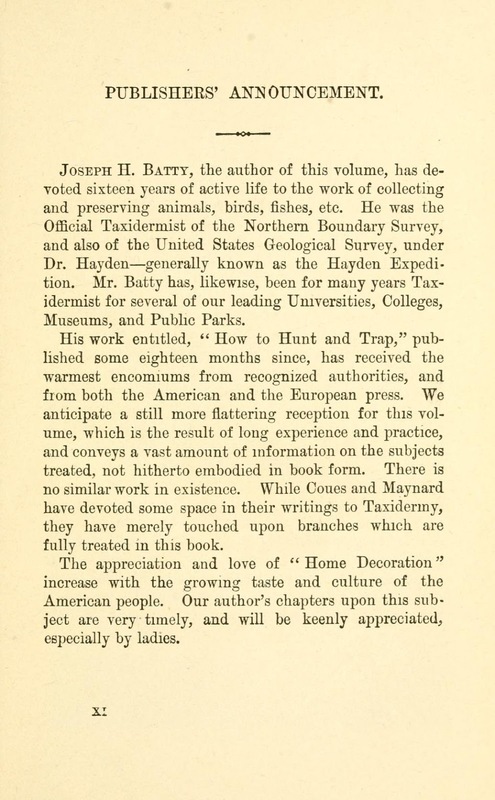 I was looking at some Americana on the Archive website, and came across two books by Joseph H. Batty. 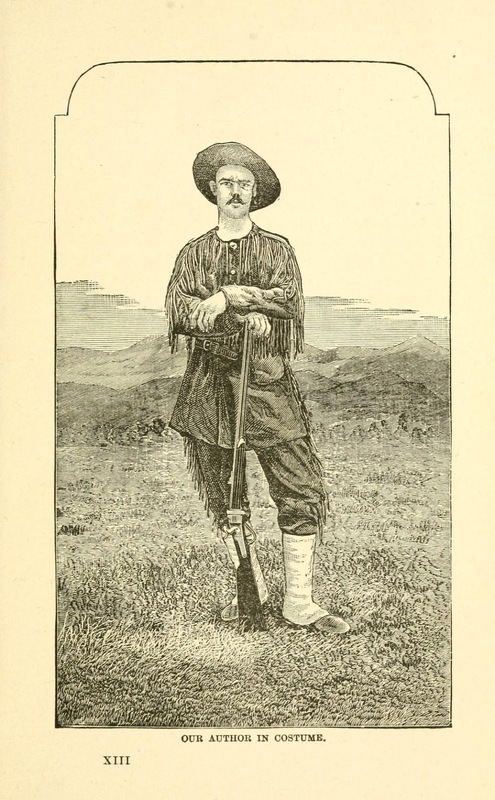 Well, in the book on hunting (first published in 1879) there is a chapter on mules and native Indian ponies used in the hunting expeditions in the Western American wilderness during the 1870s and 1880s. An Irishman spoke truthfully when he said, " The hunter's best horse is a mule;" and the great prejudice that people have against them arises more from ignorance of their natures than any other cause. 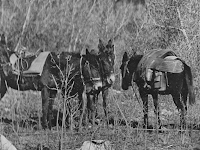 Mules are kind, gentle, and easily managed, and after long usage one becomes much attached to them. A quick, long-legged mule, of medium size, will, if carefully trained, make a useful animal, and has the human trait of liking to be persuaded rather than driven. All dumb beasts will, in their way, express much gratitude, and usually serve a considerate master faithfully. A mule that has been abused is always jerking his head about as if expecting each moment to be struck. In the mountains a mule will outclimb or outpack a pony, and keep fat on the poorest of food. Mules eat an incredible quantity of grass, and their accommodating sides expand to make space for any amount ; indeed, the exact capacity of their stomachs is something that has never been fully calculated. A packer is often in a state of despair on finding a cincho* a foot or so short, that a few hours before was slack. 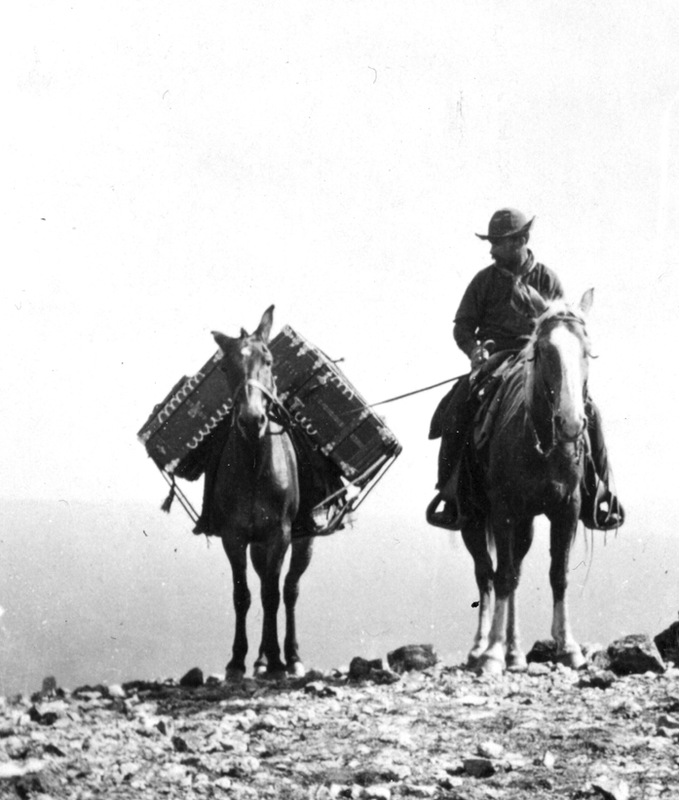 A good mule will pick his way over loose stones, fallen timber and rocks ; shows great sagacity in fording rapid rivers with uncertain bottoms, and with free rein will take a bewildered hunter to camp through storm and darkness. When mounted and still-hunting, every stick and stone is avoided, fallen timber is crossed without the sound of a misplaced hoof, and the hunter is carried silently over all kinds of surfaces. The best trails are chosen, and with large ears "pricked," the mule stands instinctively at sight of game and gives chance for a good shot. Some will stand fire remarkably well and pack warm game without a tremor; others will become violent, and on seeing dead game or smelling blood, will buck and kick furiously. All mules are affected by the smell of a bear. 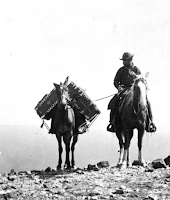 We had a great struggle with one while packing the skeleton and skin of a grizzly ; he resisted very strongly during the first few days of travel, but finally carried the load four hundred miles. Most mules are slow travelers, but occasionally a fast one is found. Recently a hunter in Montana owned one that would catch a bull buffalo; the cows, however, were too much for him. 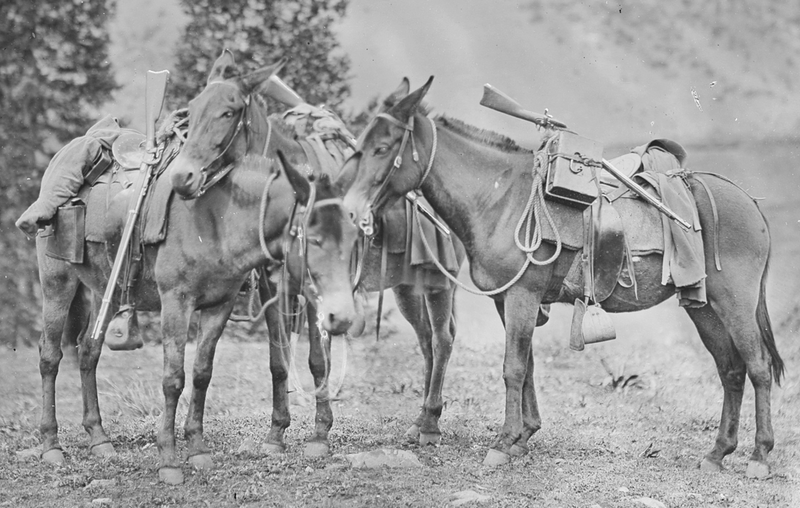 When riding a mule, a broad cincho* and wide crouper is needed, as the saddle is inclined to slip forward and turn, particularly when going down hill. A mule that insists upon being lazy can scarcely be spurred into activity; with a good leader they will sometimes quicken their pace, as they do not like to be left behind. The high tempered Mexicans must have great skill in managing them, as they have not the patience to wait their motions. They are very powerful when frightened, and require the full strength of a lariat to keep them in place when away from the herd, A small mule walked into camp one day dragging a good sized pine tree, to which he had been tied four miles distant, and we greeted the rider a few hours after as he came in sight with the saddle on his shoulder. They have great confidence in a horse, and will often follow him in single file when it would be impossible to drive them. When large mounted parties are hunting, a bell mare is picketed, and the other animals will not leave her unless the feed is very poor. Mules known in Western parlance as buck mules, excel some horses in real beauty; their plump quarters, tapering legs, small hoofs and glossy coat, with the characteristic black stripe down the back, make them attractive animals. Mules are easily frightened into a stampede ; they are much given to rolling, and will often do so when packed for a march. Indian ponies are the horses usually used by hunters. They are scarcely fourteen hands high, of rather light build, and have bright, intelligent eyes. 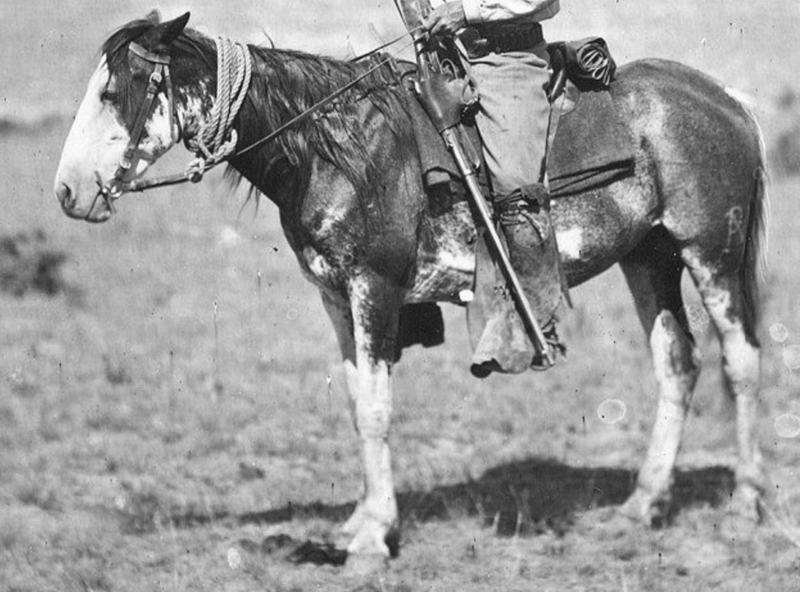 Indians have a faculty of getting a great deal of work out of them, and the ponies, in their hands, are at all tireless submissive; when managed by the whites, they become stubborn and lazy, and the mule is more generally preferred. not allowed to drink too much alkaline water, or rush for water into quicksands; in many places on the upper Missouri the soil is so treacherous that it is impossible to lead stock to water. of the rope and the swelling o£ the wounded parts. The iron picket pin, with a swivel and four concave sides, is light of weight and very secure. Some ponies ride easy; others, a little knee sprung, will more than settle a man's dinner when going down hill; when cantering on level ground, however, their defective gait is no inconvenience. mule, and will stand fire better.